You are browsing the archive for bees. 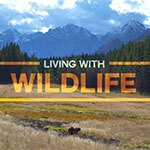 In recent years, the number of bee operations has increased, often into known bear habitat. As a result, interactions between bears and bee keepers are also increasing. 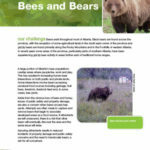 There are a number of proactive measures that are recommended to protect bee yards and bee keepers from bears and other animals. Click to view or download.